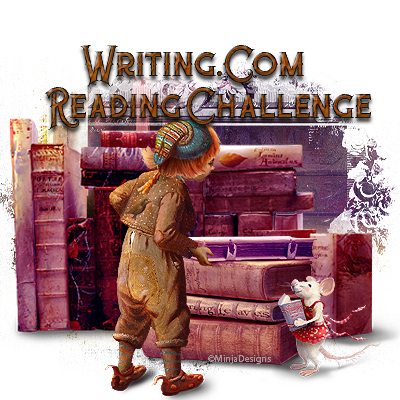 This reading challenge is a derivative from "The Monthly Reading Challenge" and the official Goodreads Reading Challenge. As we all know, reading is making us better writers but the reality for some of us may be a little bit harsh, especially when we have to deal with work, school, and family matters, and it leaves us with very little time left for the actual reading. I've received a couple of messages in the past where members of this community were interested in participation in MRC but couldn't meet the required reading goal because they are slow readers. I, personally, read fast if it's an easy book but do take time with more complexed work, especially if I'm reading it in English. For this reason, I decided to give everyone a chance to set their own reading goals without me giving the actual count of how many books are they supposed to read and review within a year. Reading supposed to be enjoyable, not a force to get things done within a certain period of time and I sincerely hope those of you who decide to participate will appreciate the idea. We all know that a little push from time to time is necessary to get things done in life, hence this forum. Before signing up please read the rules carefully as I do have some basic guidelines which are necessary if we want to make it fair for everyone and easy for me. Please be guided by this type of review as this is what I'm expecting you to submit here "Cellar of Horror: The Story of Gary Heidnik"
Important thing to remember is that no GPs will be returned to you or to your friends if you fail the challenge! All GPs donated in your name will be split between other participants or remain in MRC bank so be careful here! All donations (of any amount) will be gratefully received. Any donation of 30k GPs will be rewarded with a generic MB of your choice. Any donation of 50k GPs will be rewarded with From My Heart to Yours MB. Any donation of 100k or more will be rewarded with Golden Book Award MB. members of the group "The Book Club" . Generated in 0.84 seconds at 12:52pm on Apr 20, 2019 via server S30.